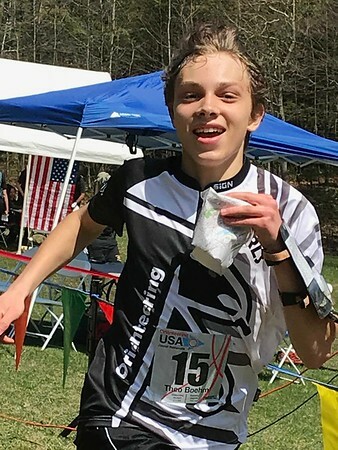 Cambridge Rindge and Latin School students were on the podium for every Interscholastic category at the USA Junior National Orienteering Championships. 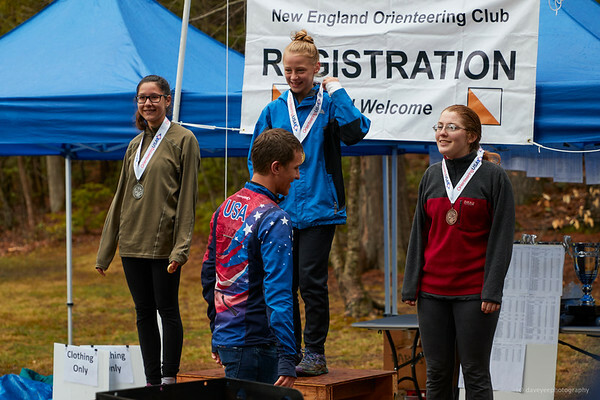 The races were hosted by the New England Orienteering Club on Mount Tom in Hadley, MA on April 28th and 29th, 2018. CRLS won Silver in the Intermediate category, Bronze in Junior Varsity, and Gold in Varsity. This was the first time CRLS ever entered a Varsity team in the national Interscholastics for orienteering. Orienteering is a map navigation sport, in which runners travel on- and off-trail to checkpoints in the woods. Orienteering is also be a fun recreational activity. There are numerous opportunities for children and families to try this sport, including this Sunday (May 6th) at Danehy Park in Cambridge. Varsity: Anaka Landrigan, Priya Landrigan, Anna Rasmussen, Vilppu Viinikainen and Keegan Harkavy. 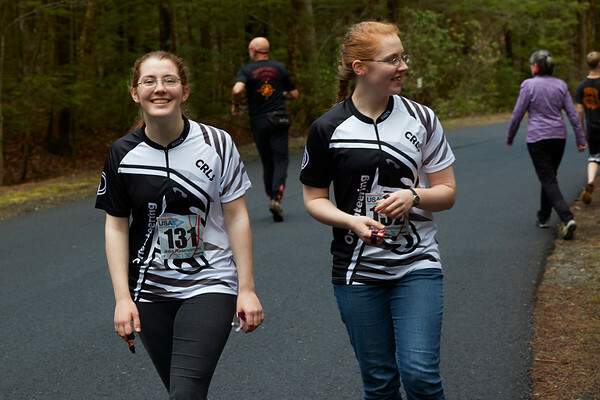 Adeline Vidolova and the Landrigan sisters are members of CRLS’s orienteering program run by the Athletic Department and coached by former USA team member Ethan Childs. Vilppu Viinikainen and Keegan Harkavy are on the USA Junior Development Team, coached by USA national team member Greg Ahlswede. The other CRLS students are supported by Navigation Games, and have been coached by Josivan Juan de Oliveira (Brazilian Air Force Orienteering Team), Pavla Zdrahalova de Oliveira (orienteering coach from Czech Republic), Juan Manuel Merida (orienteering teacher from Spain), and Violeta Feliciano (Spanish national team). The races featured terrain that was both physically demanding and navigationally challenging. On the first day, the Varsity course included a daunting uphill section with 190 meters of elevation gain, followed by short navigational puzzles on intricate terrain. The second day featured a mountainside scarred with deep gullies, requiring the competitors to plan their routes and read contours carefully to find their checkpoints. Adding to the challenge, there was steady rain with temperatures in the high 40s. Varsity runner and CRLS freshman Priya Landrigan had the top time amongst the CRLS women on the first day, and junior Anna Rasmussen led the Varsity CRLS women on the second day. Both started orienteering for the first time in the past year, beginning in September for Priya and in February for Anna. The Varsity men dominated the field with strong runs by junior Vilppu Viinikainen (2nd on Day 1, 1st on Day 2), and freshman Keegan Harkavy (3rd on Day 1 and 4th on Day 2, taking home the bronze US Individual medal). 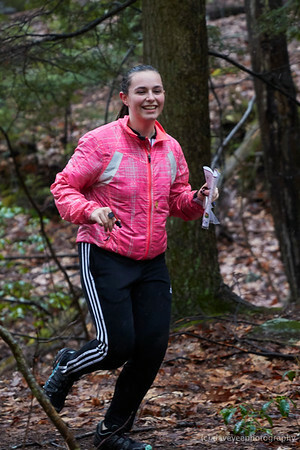 Sophomore Anaka Landrigan also began orienteering last September, and placed 3rd and 2nd among CRLS women on Saturday and Sunday respectively. The JV and Intermediate teams, with only three members each, could not afford any disqualifications or failures to finish the course. Last year’s Cambridge team (composed of 3 9th graders from CSUS) lost out after Alex Rosenberg broke his elbow jumping over logs midway through the race. This year, every runner hit every checkpoint - and Alex had an amazing comeback to place first overall individually. The Intermediate team’s Silver was a group effort. Adeline Vidolova’s performance earned her 2nd in the individual awards for Intermediate Female, and Julia Rasmussen came in 3rd. The Junior Varsity team, composed of Vincent Chen, Théo Boehm, and Jackson Codd (all sophomores at CRLS) managed to come back from 4th place on Saturday to claim 3rd overall after solid performances from all three team members on each day. 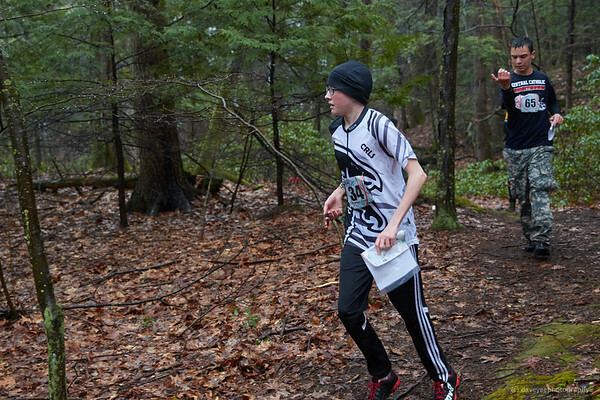 There are many opportunities for Cambridge kids to orienteer this spring. The CRLS orienteering team trains every day after school and competes at the Thursday evening park orienteering series put on by Cambridge Sports Union, as well as weekend races hosted by the New England Orienteering Club. Cambridge middle school teams have started training for the interscholastic races at Danehy Park on June 5th. In-school orienteering programs are planned in May and June at Morse school, Vassal Lane Upper School, Graham and Parks, Baldwin and Kennedy-Longfellow. All Cambridge Public School fifth grade girls will orienteer at Danehy Sports Day on May 30th. CRLS coach Ethan Childs teaches after-school classes every week for grades K-5 at the Amigos and Fitzgerald Peabody Community Schools. There will be a Mayor's Summer Youth Employment Program worksite focused on orienteering. Teens will learn and practice orienteering before teaching map skills to kids in other summer camps. Applications are due this Friday, May 4th. Interested students should indicate their worksite preference as Navigation Games. See the schedule at www.NewEnglandOrienteeringClub.org (or www.NEOC.org) for events open to the public. CRLS students took home a first-place trophy in Varsity, two other team medals, and several individual medals. Orienteering is a navigation sport suitable for all ages. Using a map and compass, competitors race through wilderness or urban parks. ;The fastest competitor to visit all the checkpoints in the correct order and return to the finish wins. The national governing body is Orienteering USA, representing over 60 local clubs and event promoters. JV team member Theo Boehm at the finish line. CRLS athletes Adeline Vidolova took 2nd and Julia Rasmussen took 3rd in individual results in the Intermediate category. Note: An earlier version of this article reported that the CRLS students took Gold in the Intermediate category. After the races, a protest was filed by another team and it was discovered that a data error had wrong information about team composition. The correct scores have CRLS Intermediate at ~ 407.6 points and the other team at ~ 407.1 points. Fewer points is better, so CRLS ended up coming in 2nd by a hair. We are still immensely proud of our athletes, and the individual results still stand, with 1st, 2nd and 3rd place medals taken home by the team members.